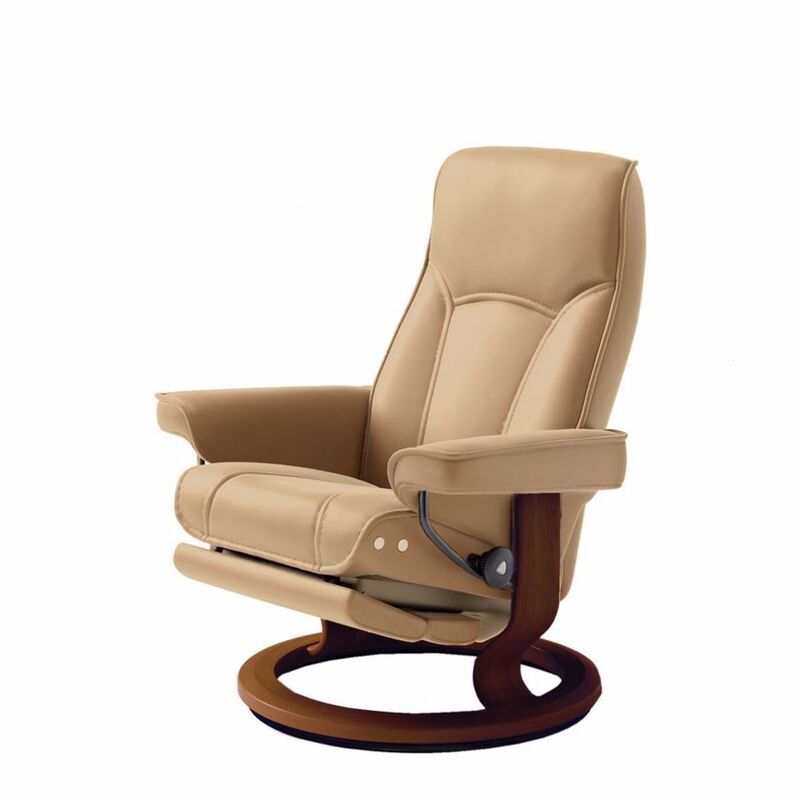 Stately and refined, the STRESSLESS SENATOR from EKORNES is among our most traditional designs. This collection epitomizes the very essence of STRESSLESS, with simple lines, effortless Scandinavian styling and incomparable comfort. Adding to that, this particular chair also features the electronic Leg Comfort feature. This feature eliminates the need for a footstool, by having a footstool built in and hidden underneath the seat when not in use. Having a full 360° swivel feature, the STRESSLESS with our patented Glide system, the SENATOR responds to and works with the motion of your body to give unmatched support and superior comfort. Both contemporary and timeless, the SENATOR collection is where form and function meet.